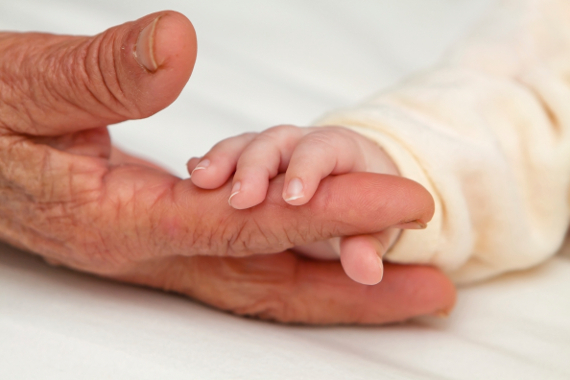 Following the introduction of Shared Parental Leave (SPL) in April 2015, the Government has announced proposals to extend SPL and pay to working grandparents. The proposal stems from the Government’s over-arching aim to increase flexibility and choice in parental leave arrangements and support working parents with the provision of affordable childcare during the first year of their child’s life. In making the proposal to extend SPL, the Government has said that it recognises the crucial role that working grandparents can play in providing childcare and support to their own working children. SPL was introduced as a means of enabling working mothers to end their maternity leave early in order to share leave and pay with their partner. SPL is currently available only to mothers, fathers, partners and adoptive parents but, by being able to share the SPL with the child’s grandparents, it will provide another option for parents to return to work more quickly. As a helpful by-product, it should also encourage more grandparents to remain in employment, rather than leaving their jobs to help with childcare. Although the extension of SPL has been seen as good news for many working parents, it may be more problematic for employers. With an ageing workforce, the number of working grandparents who may benefit from the proposed extension will be significant: research from the Trade Union Congress indicates that some 7 million grandparents are involved in providing regular childcare to their grandchildren and so allowing their own children to return to work. If the proposals are implemented, the provisions are likely to be in line with the current statutory SPL scheme and so the entitlement to take SPL will be shared with the child’s eligible grandparents: the grandparents may be able, potentially, to share up to 50 weeks’ SPL. Additionally, eligible grandparents may be able to share up to 37 weeks’ statutory shared parental pay (statutory shared parental pay is currently set at £139.58 a week or 90% of weekly earnings, whichever is the lower). If employers have enhanced provisions for shared parental pay, as they do with, say, maternity pay, they will need to take the same approach with this new entitlement to shared parental pay. This would, of course, add further costs for the employer. Timescale for new SPL proposal. • affect working grandparents only. Employees already have the right to take unpaid emergency leave to care for dependants and to request flexible working provided that they have the required length of service. What do you think the impact of the proposed extension of SPL to grandparents will be for your business? 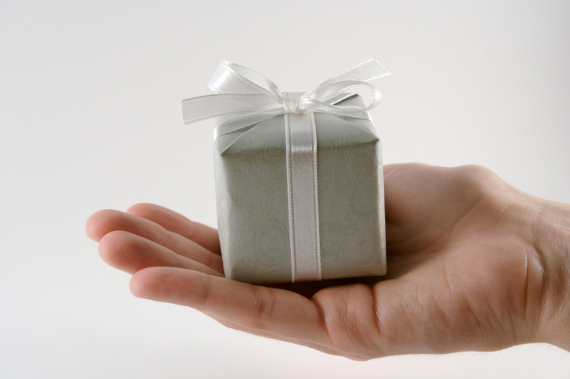 HMRC has recently introduced new model wording to be used in Gift Aid Declaration forms from September 2015 onwards. This replaces the previous model wording which may no longer be used after 5 April 2016. The three model forms cover (i) one-off donations; (ii) multiple donations; and (iii) sponsored events. The forms are for use by donors and sponsors of charities or CASCs. Although the content of the forms has changed, the new forms are to be used for the same purposes and in the same way as before. HMRC recommends that the new model wording is used but charities and CASCs may adapt the forms and/or add to the wording, e.g. by adding the logo of, or messages from, the charity/CASC and other details. The new forms are simpler than the previous versions, and in particular they no longer contain unnecessary references to VAT and Council Tax. The forms are now worded in a way that demonstrates more clearly the value to the charity or CASC concerned of a Gift Aid claim. They now also include wording making clear that donors have the responsibility to ensure that they have paid sufficient total tax in the year to cover all their Gift Aid donations, and that they have to pay any shortfall of tax where they have not paid sufficient tax in the year. That responsibility is not a new one, but it was not spelt out in the previous model forms. If someone has donated £100 to a charity or CASC under Gift Aid but HMRC finds that they were ineligible to do so under Gift Aid (i.e. they did not pay enough tax to cover the donation), HMRC can claim £25 from him (i.e. the amount of tax which the charity has claimed on that amount), so that the donation will have cost him £125 in total. This is not what he would have expected or intended. The charity will then keep the £100 from the donor and the additional £25 it claimed back from HMRC. If instead the charity had been required to pay back that £25 to HMRC, the donor’s only cost would have been his £100 donation, and the charity would have been no worse off than if the donation of £100 had in the first place not been made under Gift Aid. This approach by HMRC might be regarded as unfair treatment of donors – many of whom will have donated through Gift Aid when they were taxpayers and then mistakenly made further donations through Gift Aid after they ceased to be taxpayers. Apart from the issue of fairness, if HMRC pursues donors in this way, the effect might be to dissuade some people from making donations who would otherwise have done so, and charities and CASCs would then suffer. Indeed, research carried out for HMRC in 2014 found that serious deterrent messages put off eligible donors. The Charity Tax Group (“CTG”), which represents the charity sector, had both positive and negative points to make about these changes. The CTG stressed that more needs to be done to promote awareness of the changes and that charities need to ensure that they comply with the requirement to adopt the new model forms. The CTG commented that these new shorter forms are easier for donors to understand and that charities welcomed the new forms – since they are shorter and simpler, they are expected to maximize take up by those donors eligible to use Gift Aid. On the down side, the CTG felt that the new forms’ increased focus on the personal tax status of the donor could have a “chilling effect” on some donors and sponsors. The Low Incomes Tax Reform Group (“LITRG”), a group independent of HMRC which represents low income donors, was more critical of the new wording. The LITRG called on HMRC not to pursue non-tax paying people for any tax due on donations they make to a charity under Gift Aid, their reason being that it would be fairer for any reimbursement to come instead from the charity. The LITRG’s view was that when a person of limited means makes a donation, the last thing the LITRG wanted was for HMRC to pursue him for tax on the donation. The LITRG highlighted the fact that this creates a moral dilemma for charities and CASCs: although legally entitled to keep the Gift Aid tax amounts reclaimed from HMRC, should charities and CASCs reimburse it rather than letting the donors bear the cost of it? If a charity or CASC does not reimburse it, a donor might cancel the donation itself, seeing it as too risky to donate. What should charities and CASCs do now? Since HMRC will not accept the old forms after 5 April 2016, it is important that well before that date all charities and CASCs plan the updating of their Gift Aid Declaration forms, their online and printed statements, fundraising scripts and letters for oral declarations, and use up their existing stocks of printed forms and related material. Existing enduring declarations (i.e. declarations covering all future donations, typically used where the donor makes regular gifts to the charity or CASC) do not have to be renewed, and so there is no need to contact donors to update those forms.